The Northeast Georgia Writers held their first meeting on April 17, 1973, at Brenau College in Gainesville, Georgia. Who We Are: NEGA's diverse membership ranges from professional freelancers and published authors, to writers aspiring to be published and those who write as a creative outlet. Members produce both nonfiction and fiction, including novels, short stories, poetry, plays, scripts, feature articles, and essays. Some work in specific genres such as romance, science fiction, thriller, fantasy, children's literature, travel writing, or biography. The purpose of the organization is to foster good writing. Members are encouraged to send forth their written works, to keep writing, and to learn the joy of having written. The purpose is accomplished through regular monthly meetings, annual competition, conferences, and the publication of anthologies. Membership is open to all persons interested in writing. The NEGWriters Membership is $30 (half-year $15 for new members after June). 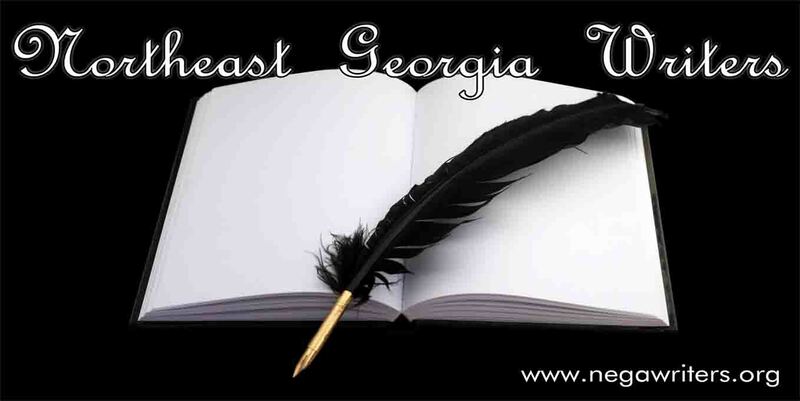 The treasurer will accept your check made payable to the Northeast Georgia Writers. Current members pay by December 31. Incoming members must pay by the end of February to be eligible for participation in the annual writing competition.